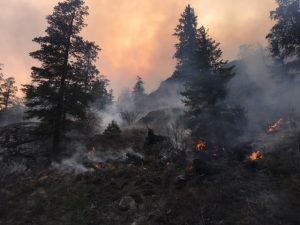 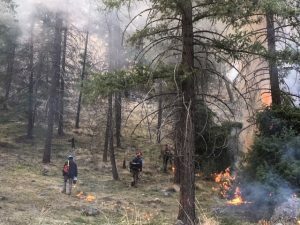 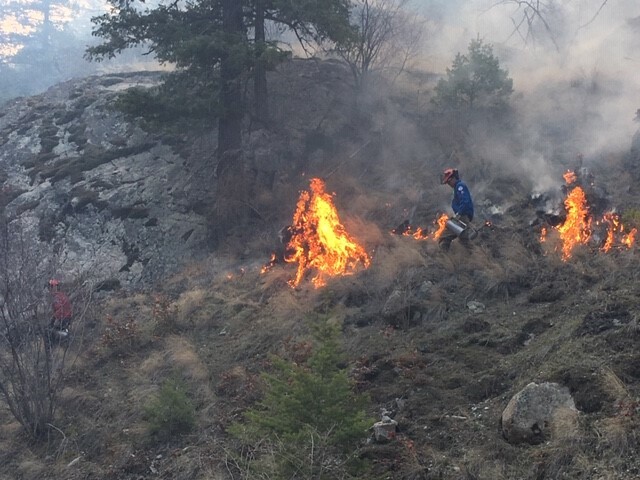 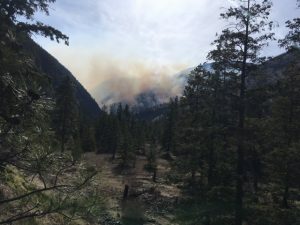 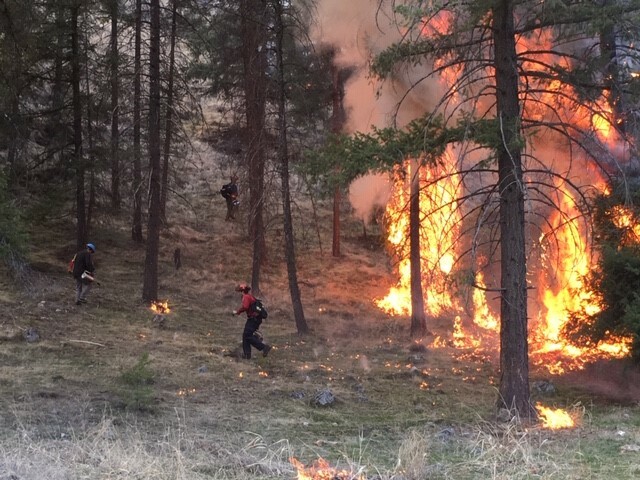 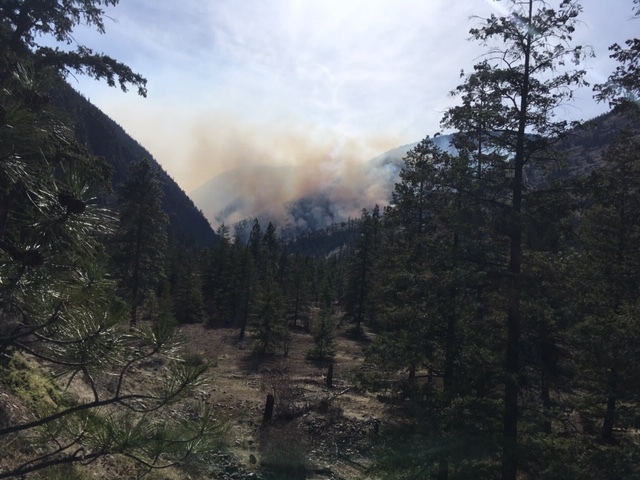 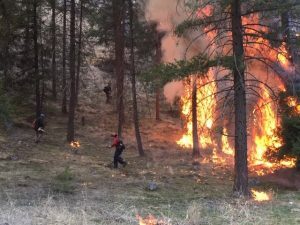 On April 2, at kiʔ ʕacqxʷúʔ (Crater Mtn) a cikilaxwm (prescribed fire) took place to restore forest and grassland health, including bighorn sheep habitat. 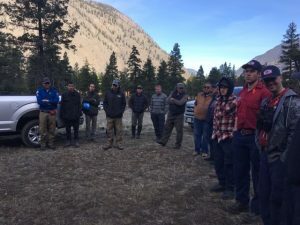 The day began with a ceremony with Herman Edward, and proceeded with an operations and safety meetings. 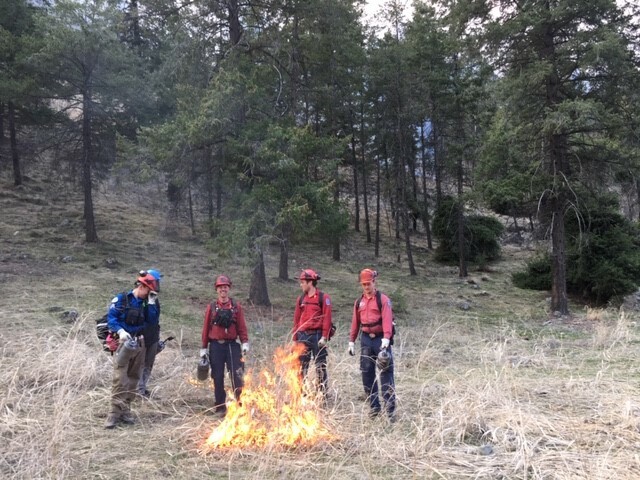 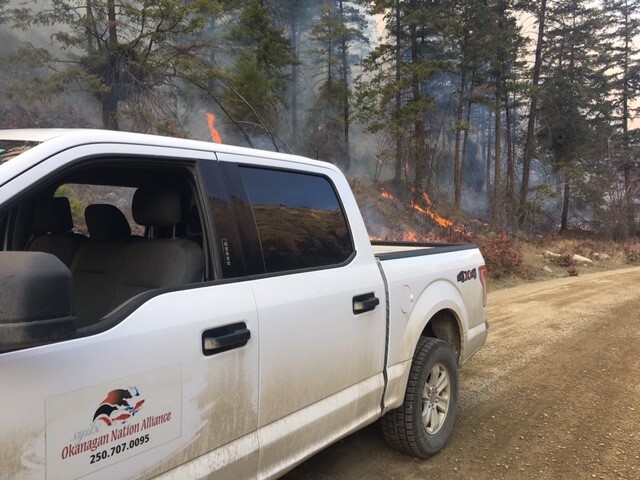 Conditions outlined in the burn plan (created by Rob Edward and Richard Swift of BCWS) were met at approximately 12:45, and a test burn at 12:50 confirmed that the burn could go ahead as planned. 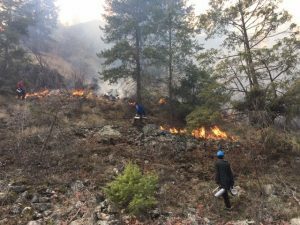 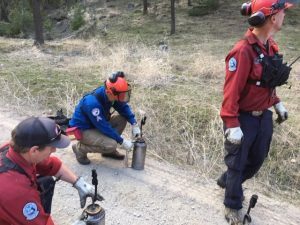 Ground crews consisted of two teams, made up of LSIB Crew members and BC Wildfire Crew members. LSIB Crews included Chase and Isaac Dennis, Jason Allison and Eric Edward. 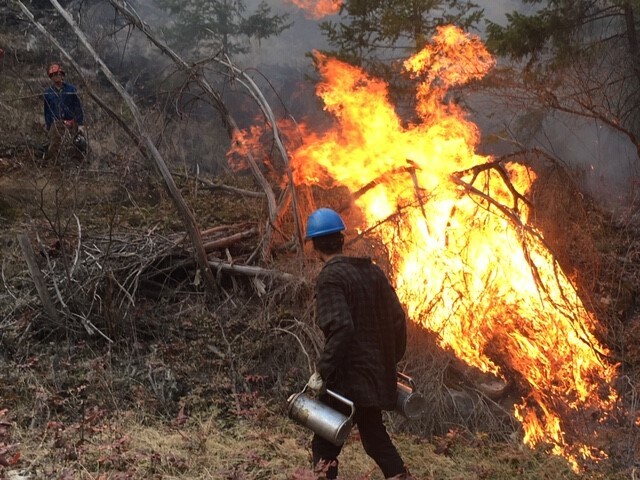 They worked drip torches, on the edges and in areas of the burn that needed some extra heat. 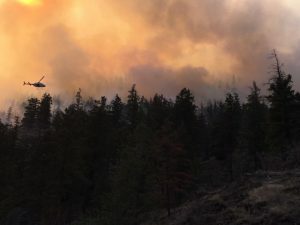 All crews did an exceptional job of coordinating with the helicopter pilot and ignition specialist in the air by radio. 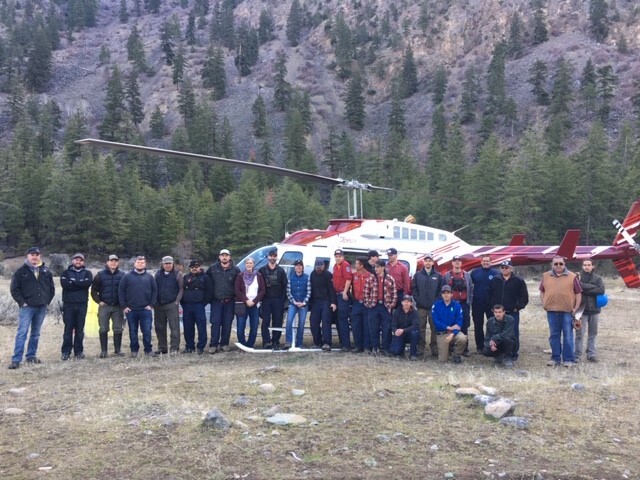 While the ground crews worked to ignite the edges, working their through tough and steep terrain, aerial ignition was initiated at approximately 1:10, using plastic spherical devices (dragon balls) dispatched from the dragon machine in the helicopter. A combination of dragon balls and heli-drip torch got the job done from the air. The fire never jumped the fire breaks, which crews worked over the past two weeks to establish around the perimeter of the area. 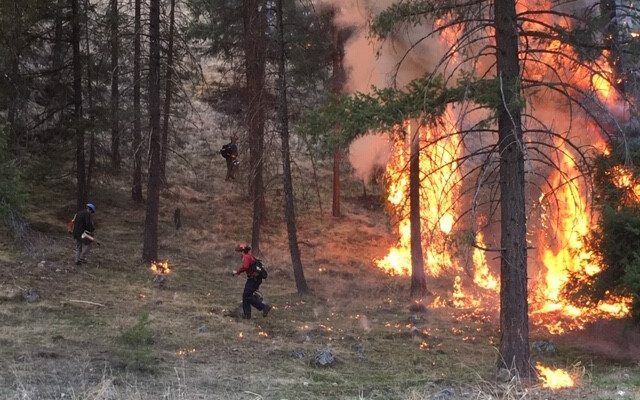 The entire area was burnt and met objectives. The ground crews tied the whole thing down to the Ashnola road, and finished up together at about 4:45. The day finished with a debriefing at the staging area, and completed the day at 6:00. 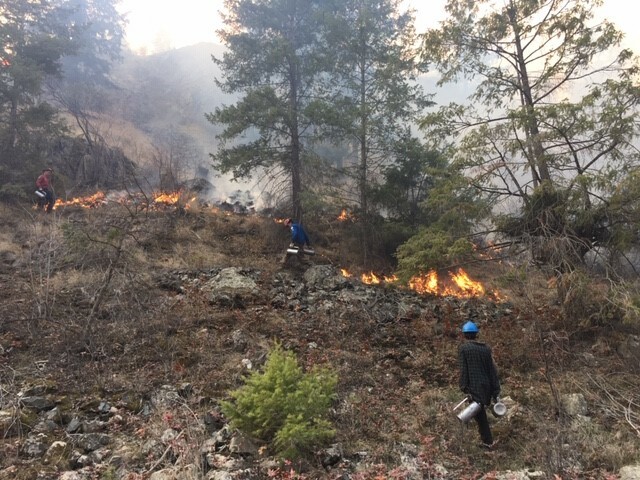 Crews are out monitoring the following day, and will continue to do so over the next two to three weeks, or until the fire is completely. 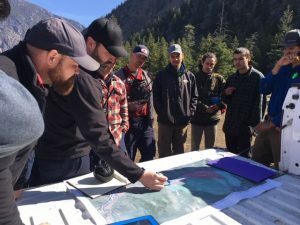 The LSIB crew members will continue their training with BCWS and work on these projects, as well as with BCWS on wildfire response. Phase II of Crater Mountain Prescribed Burn in planning stages for this fall, provided resources and conditions are in place.